Do you need to get it right, too? Then, learn from Google. 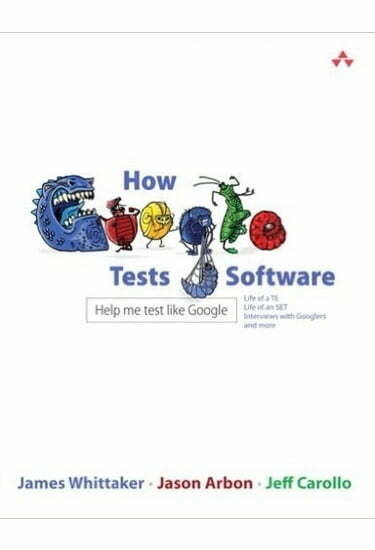 Legendary testing expert James Whittaker, until recently a Google testing leader, and two top Google experts reveal exactly how Google tests software, offering brand-new best practices you can use even if you’re not quite Google’s size…yet! Discover 100% practical, amazingly scalable techniques for analyzing risk and planning tests…thinking like real users…implementing exploratory, black box, white box, and acceptance testing…getting usable feedback…tracking issues…choosing and creating tools…testing “Docs & Mocks,” interfaces, classes, modules, libraries, binaries, services, and infrastructure…reviewing code and refactoring…using test hooks, presubmit scripts, queues, continuous builds, and more. With these techniques, you can transform testing from a bottleneck into an accelerator–and make your whole organization more productive!